On Monday night, October 29 at 8PM ET/PT on ABC, the couples will dance to some spooky songs and execute some "terrifyingly fun dances," according to the network in honor of the Halloween holiday. Each celebrity and professional pairing will perform a jazz, Argentine tango, salsa, tango, paso doble, jive or contemporary dance for Week 6 of the competition. The night will kick off with a big opening number featuring the celebrities and professional dancers performing a twist to the classic song "Purple People Eater," and the Jabbawockeez dance group from America's Best Dance Crew and World of Dance will also take the stage with a special Halloween-inspired routine. In addition, the cast of Dancing with the Stars: Live! Winter Tour will dance, and those stars will be Witney Carson, Emma Slater, Jenna Johnson, Gleb Savchenko, Artem Chigvintsev, Alan Bersten, Sasha Farber, Brandon Armstrong, Hayley Erbert and Britt Stewart. 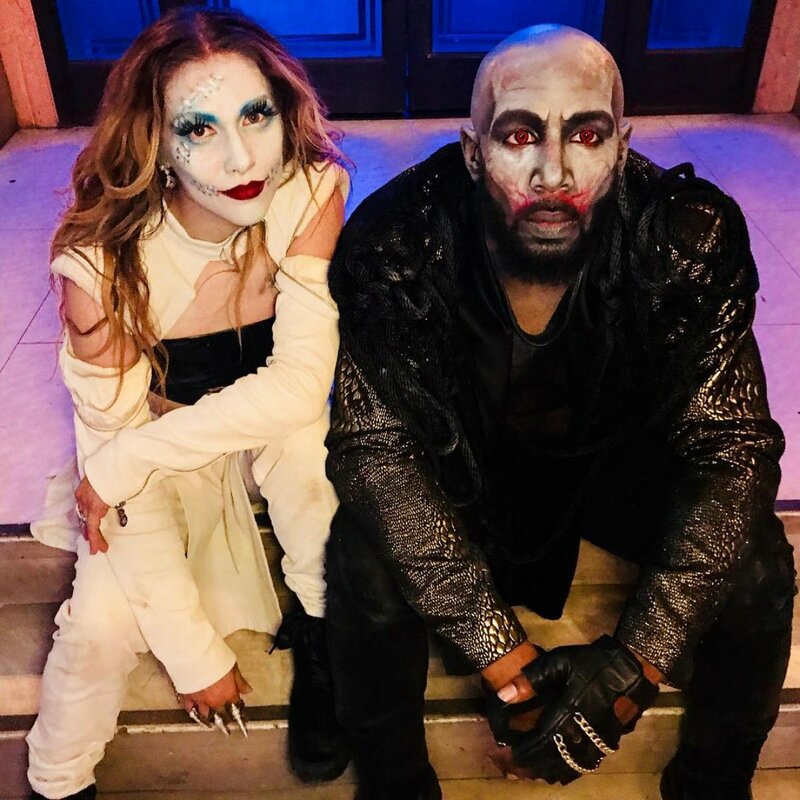 And Stephen "tWitch" Boss from So You Think You Can Dance will perform an "eerie number" with dancers including his wife and former Dancing with the Stars pro Allison Holker based on a music video from Freeform's 31 Nights of Halloween. Model and Cover Girl Alexis Ren and her professional partner Alan Bersten will dance a jazz routine to "Candyman" by Christina Aguilera. Country music radio personality Bobby Bones and partner Sharna Burgess will perform an Argentine tango to "Mr. Sandman" by SYML. DeMarcus Ware, a pro football player and Super Bowl champion, and partner Lindsay Arnold will take the stage with a salsa routine to "Under Your Spell" by Leo Soul. Actress and Harry Potter star Evanna Lynch and partner Keo Motsepe will execute a tango routine set to "Disturbia" by Rihanna. Bachelor in Paradise star Joe Amabile and partner Jenna Johnson will Argentine Tango to "El Tango de Roxanne" from Moulin Rouge and hope to finish higher than last place this week. Actor and country singer John Schneider and partner Emma Slater will paso doble to "Main Titles" from Beetlejuice, by Ray Chew Live. Actor and Fuller House star Juan Pablo Di Pace and partner Cheryl Burke will dance a jive routine to "Dead Man's Party" by Atwater Men's Club. Mary Lou Retton, a former Olympic gymnast with five medals, and partner Sasha Farber will perform the tango to "Shame" by Elle King. And singer and dancer Milo Manheim and partner Witney Carson will take the stage with a contemporary routine to "Toxic" by 2WEI. Last week, there was no elimination on "Disney Night," so one couple is bound to go home on Dancing with the Stars this week. "Halloween Night" will be hosted by Tom Bergeron, co-hosted by Erin Andrews, and judged by Carrie Ann Inaba, Bruno Tonioli and Len Goodman.